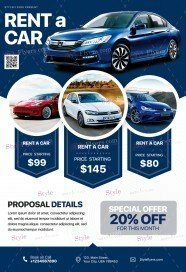 Welcome to our new premium car flyers templates listing. 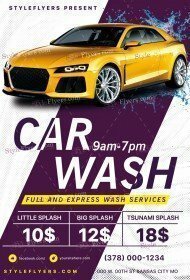 Here you can buy car flyer template, which will help you to promote any events connected with cars online. 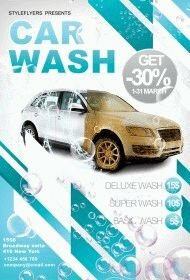 We prepare for you a wide selection of car wash Photoshop files and racing flyers of high quality, which are available for sale. 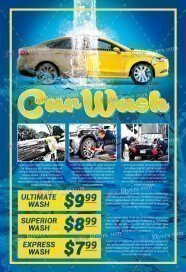 We want to turn your attention to our comfortable in use division system. 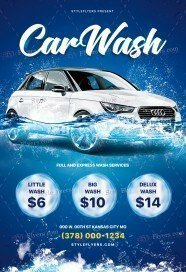 Don’t forget that you can also find the appropriate printable flyer thanks to our color division, you can pick black, blue, green, red, violet, white or yellow color design. 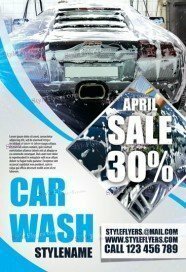 Styleflyers company will help you to hold any racing or car show party and promote it at the affordable price. The owners of a car wash will appreciate a wide choice of well-organized samples with huge space for additional information, which they can buy here. You can customize and improve any flyer you pick. 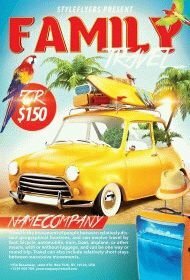 Easy customization and fully layered structure and Facebook cover are our main advantages. 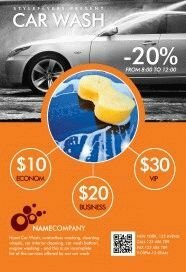 With our unique product and your fresh ideas, we will create an outstanding advertisement for your event! So don’t waste your time buy car flyer PSD template and post your it to boost your business or event.